Not your average surf ‘n’ turf. 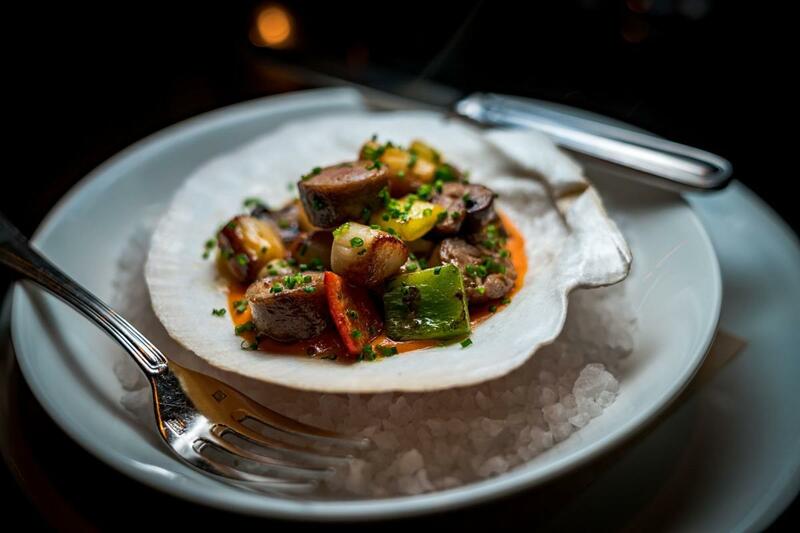 Seared Nantucket bay scallops play nicely with rounds of spicy pork sausage, sweet onions, and roasted bell peppers. 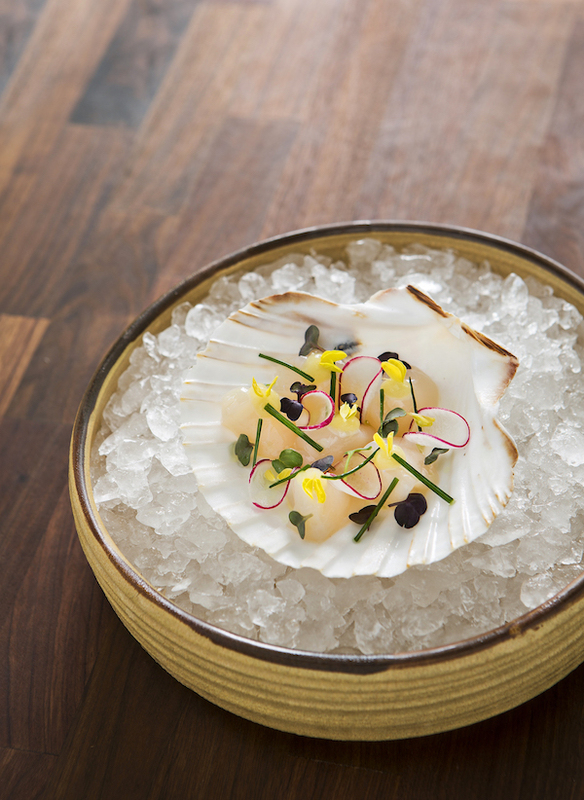 The terroir-meets-merroir mélange arrives in a scallop shell. Make a reservation at Evangeline. 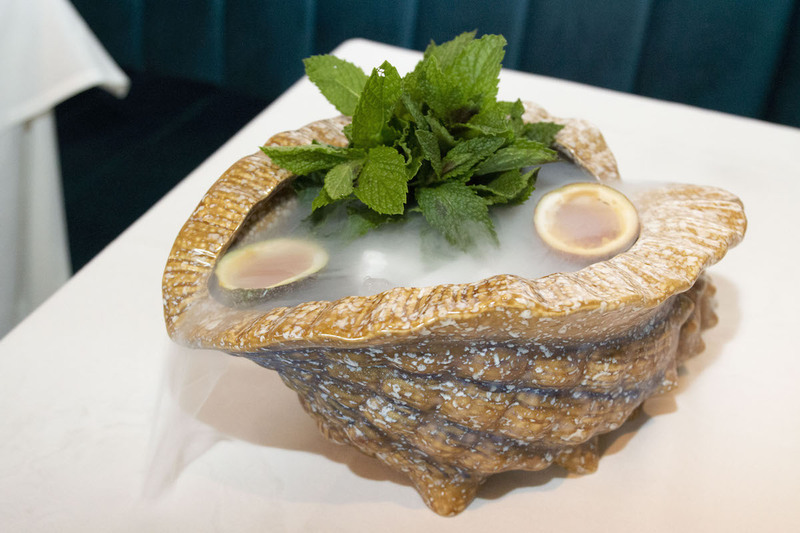 You’re going to need to bring some friends if you want to tackle Roman’s Conch. The large format cocktail is enough for six sippers. 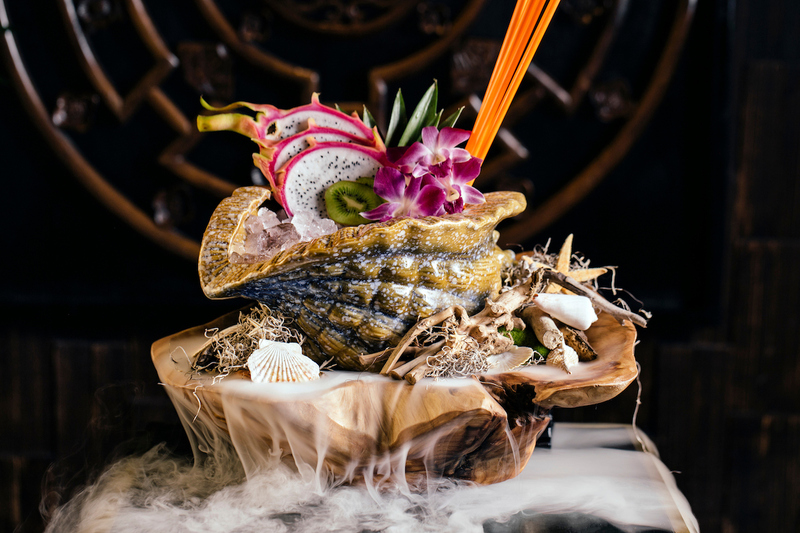 Served in a supersized shell, it’s forged with a tiki-riffic mix of rum, Velvet Falernum, oloroso sherry, passion fruit, lime juice, and grapefruit juice. 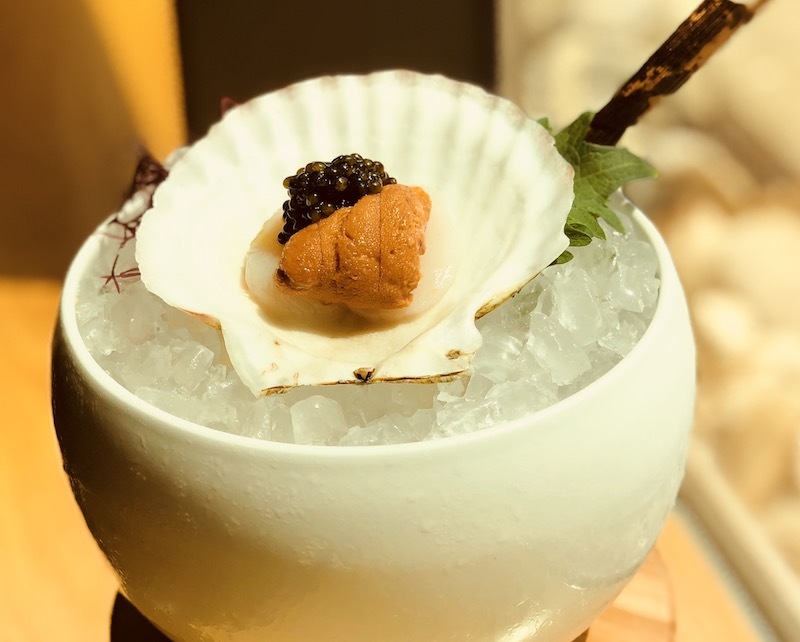 Make a reservation at Kiki on the River. 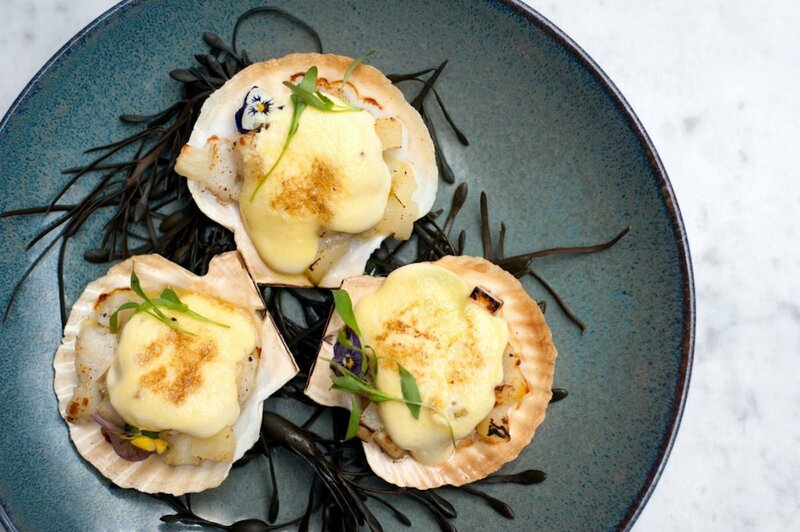 These conchitas a la parmesana feature scallops presented in their shells. 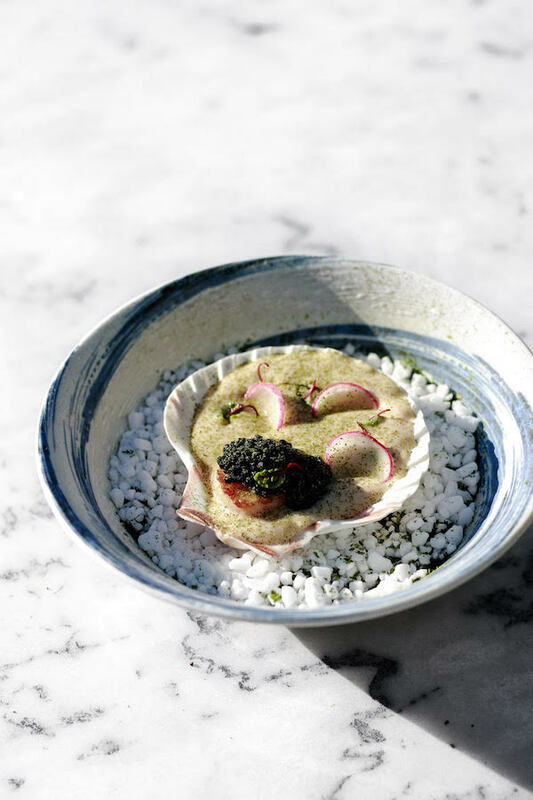 The ivory rounds are shrouded in parmesan foam, and then topped with basil leaf and crispy garlic. Shell game on! Make a reservation at Tanta. A cluster of barnacles holds crunchy coronets. 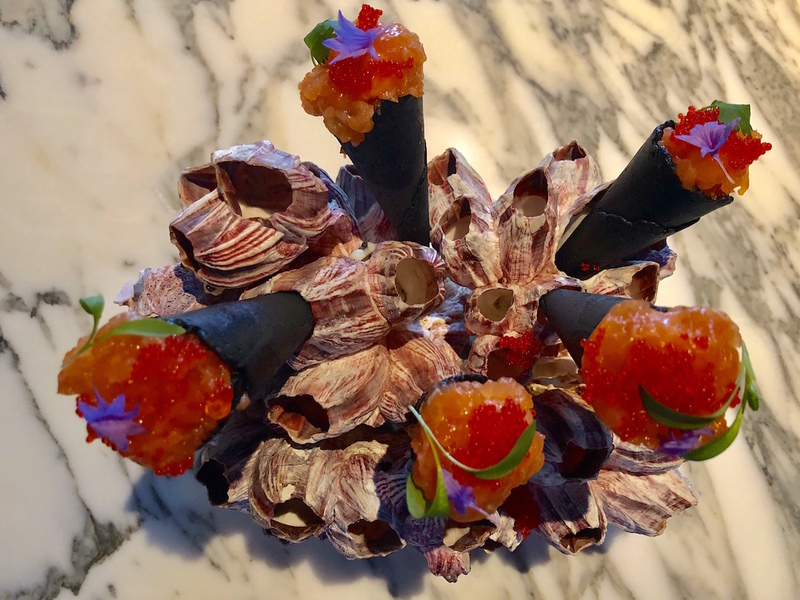 The obsidian hued tubes are packed full of spicy salmon belly tartare. Housemade furikake amplifies the seaworthy sensibility of the flavors. 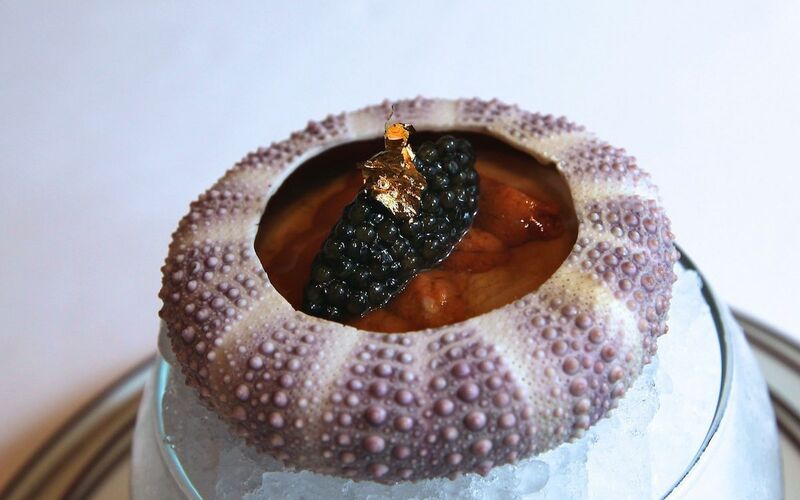 Make a reservation at Siren. 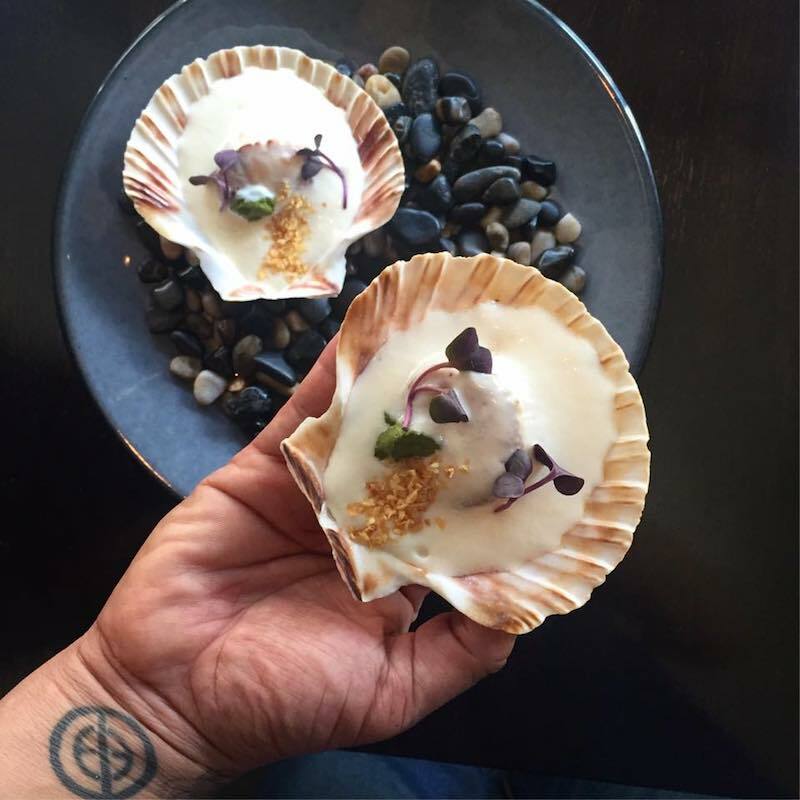 What are your picks for restaurants for dishes and drinks in seashells? Let us know in the comments or over on Facebook, Instagram, Pinterest, or Twitter. And, remember to snap + share your #dishpics with us on Instagram for a chance to win in our weekly giveaway. Photo credits: Shin Lim (Boleo); Michael Pisarri (Kuro).